Rampion will deploy its Fugro Symphony and Fugro Saltire vessels to install the cables that connect the turbines to the project's substation. JDR Cables will manufacture the inter-array cables at its facility in Hartlepool, north-east England. Installation will take place in 2016 and 2017, with commissioning expected in 2018. Fugro has a long association with the project. The company's Seacore unit installed a met mast at Rampion in 2012. E.on gave its final investment decision on the £1.3 million (€1.8 billion) project in May. The UK's Green Investment Bank acquired a 19% share of the project. MHI-Vestas will supply 116 V112-3.45MW turbines to the site, located 13 kilometres off the UK's south coast. 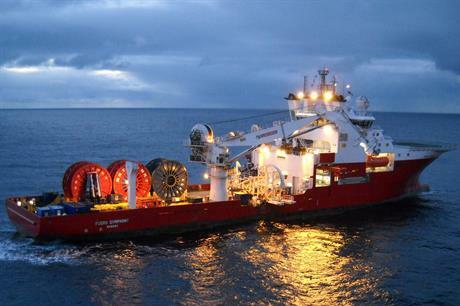 Fugro previously installed cables at E.on's 219MW Humber Gateway project. The development off the coast of north-east England was completed in June.